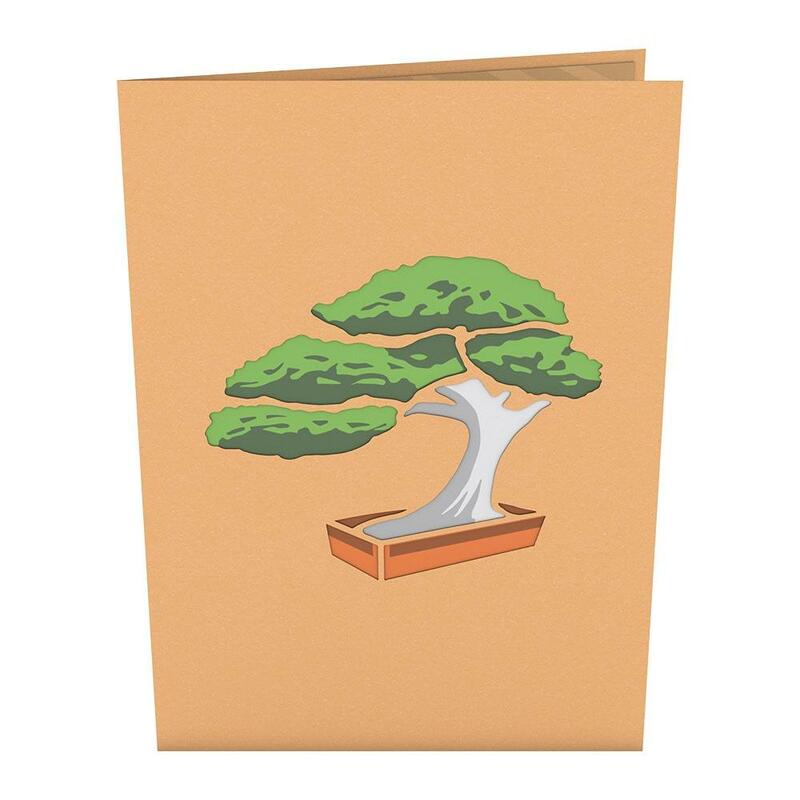 Give the gift of zen with our Bonsai Tree pop-up card, featuring a laser-cut bonsai with vibrant green leaves and a minimalist gray and white trunk. Inside, the asymmetrical sculpture stretches toward the sky, with dramatic, drooping branches that nearly touch the wood-print panels of the card. 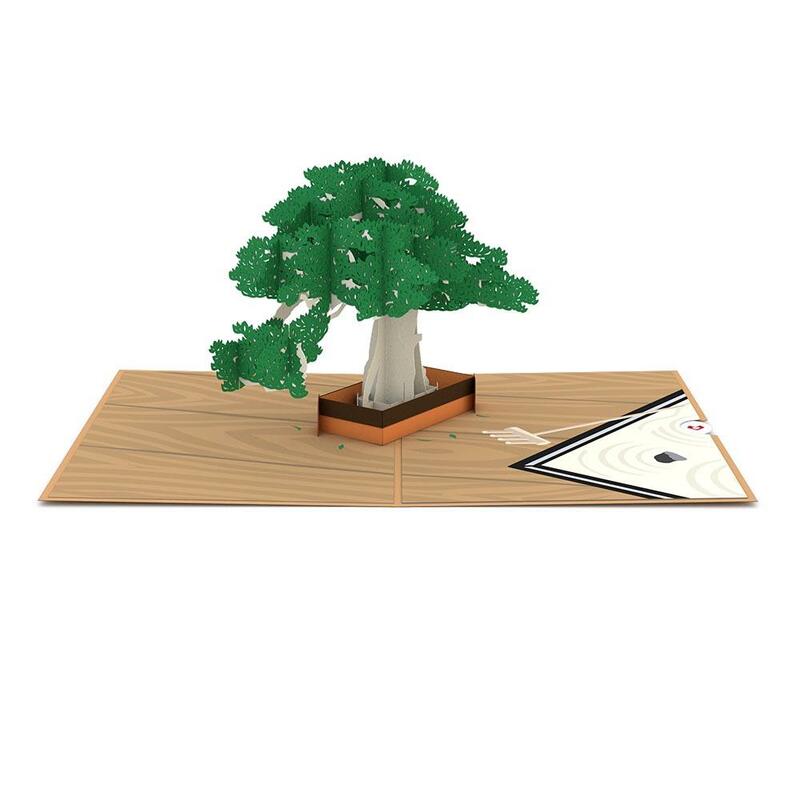 Mirroring its front, the bonsai pop-up plants its roots within a tan and brown base, while a Japanese rock garden and rake peek from the lower right corner for an added cue to serenity.